I’m no scientist. But you don’t have be an expert to acknowledge climate change and start doing something about it. All you need is a basic understanding of a thermometer and the fact that ice melts, and you’re about 85% of the way there. But since this is so complicated for some of our “leaders” on the other side of the aisle, let’s start with a few facts. The average temperature of the earth is rising drastically, primarily because of greenhouse gas emissions. Globally, 2014 was the hottest year on record, and 2015 is on pace to break the record yet again. As a matter of fact, ten of the hottest years ever recorded have been since 1998. Climate change puts lives at risk: heat waves that lead to stroke and dehydration are the most common cause of weather-related deaths. Extreme storms like Hurricane Katrina and Superstorm Sandy killed over 2,000 people combined. Poor air quality leads to asthma and lung disease. All these risks are projected to increase over time unless we act to reverse climate trends. Climate change costs hurts our economy, from property damage to lost productivity, from water and energy costs to effects on agriculture and fisheries. Even tourism dips during and after climate events. According to the White House, extreme weather disasters in 2012 alone cost our economy over $100 billion. To address some of the challenges that lie ahead of us as a nation, President Obama unveiled a Climate Action Plan earlier this month. The plan sets national standards for carbon pollution from power plants, which are the largest source of carbon pollution in the United States. It will create a unique energy portfolio for each state, allowing California to adapt differently than Alabama while working toward the same goal: cutting 870 million metric tons of carbon pollution and increasing renewable energy by 30% by 2030. In California, we feel the impacts of climate change drastically. Our drought has left entire towns without running water, has increased the length of fire season, and is hurting our agricultural industry. With rainstorms becoming less frequent and more extreme, we’ve seen an increase of flooding taking lives and destroying infrastructure. As the Washington Post put it, we now burn and flood at the same time. California has made progress under Democratic leadership. We have cut carbon emissions in our power sector by 8 percent since 2008 and increased energy generation by 74 percent in the same period. We have instituted cap-and-trade and created 46,169 renewable energy projects. Studies show that San Diego is particularly susceptible to the effects of climate change. Even the Department of Defense is studying the issue due to our strategic importance to the United States military and increased risks from sea level rise. Many local agencies are taking action to do their part in this massive effort. The City of San Diego, Port of San Diego, and San Diego County Water Authority have Climate Action Plans that will not only help fight climate change, but also create jobs and promote access and equality to vulnerable populations in the process. In July, the San Diego Unified School District, which is the second largest school district in the state, voted to adopt a plan calling for 100 percent renewable energy for its 200 schools by 2035. But the policy work isn’t done. The courts struck down the County of San Diego’s Climate Action Plan because it didn’t live up to state standards. 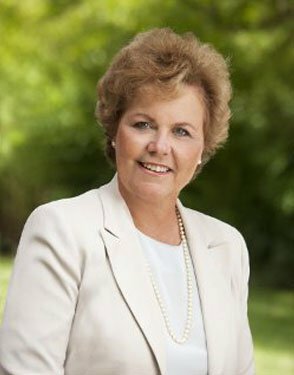 By reducing emissions, creating clean and renewable energy, making our buildings water and energy efficient, increasing mass transit and bikable and walkable infrastructure, adopting a zero-waste policy, controlling storm water, implementing brush management, fostering urban food systems, implementing smart land use, and increasing adaptability, we can improve air quality, protect public health, increase water supply, increase food security, reduce the rate and effect of wildfires, protect ecosystems, ensure proper emergency response to climate events when necessary, and create thousands of jobs. While climate change is a global problem, many of the solutions are local. We can’t afford denial or delay. Isn’t San Diego worth it? “Sorry, it was just too hard” isn’t an acceptable answer when the consequences are so grave. On September 21st people from around the nation will come together in an unprecedented citizen mobilization for the People’s Climate March in New York City. As world leaders meet at the United Nations climate change summit, hundreds of thousands of marchers will demand the world we know is within our reach: a world with an economy that works for people and the planet; a world safe from the ravages of climate change; a world with good jobs, clean air and water, and healthy communities. Other marches will take place around the world as we collectively call on our leaders to act on climate change. A growing coalition of San Diego organizations and individuals are working together to ensure that our local leaders know that San Diegans are also watching, and we too demand climate action now. We are working to bring hundreds of San Diegans together for the People’s Climate March San Diego to support the marchers in New York and to call for immediate action on climate change here at home. We will call for solutions that work for people and the planet – a rapid transition from fossil fuels to renewables and energy efficiency, and a just and sustainable economy. We will press our elected leaders to implement a strong Climate Action Plan for San Diego; develop sustainable water policies; build affordable mass transit and facilitate healthy communities; and support green jobs and clean energy. 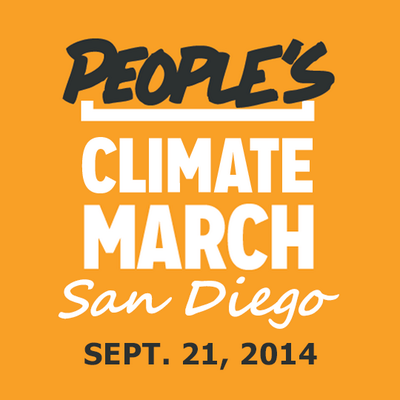 The People’s Climate March San Diego will be on Sunday, September 21, 2014. We’ll gather at City Hall at 12:30 to call for a strong Climate Action Plan, stop at the American Plaza / Santa Fe Station to highlight transportation alternatives, and end at the County Administration Building Park, where we will hear from local leaders. View the route, speakers, and other event details. We’ll also have bike rides and a special coaster coming in to the march. Together, we can make September 21st a day our leaders can’t ignore! Thank you for your tireless efforts to bring positive change to our community and for demanding climate change action. To change everything, we need everyone on board. Will you help? For inspiration: we highly recommend Bill McKibben’s invitation to the PCM in Rolling Stone and the video below.